TTD Advance Booking for accommodation online is managed by temple administration at TTD. TTD administration is quite transparent in allotment of accommodation to pilgrims. TTD enforces a penalty on those pilgrims who do not vacate the rooms within 24 hours as per the TTD norms. If a pilgrim fails to vacate the room at the designated time, then the pilgrim has to pay 200% extra rent after 48 hours and 400% extra rent after 72 hours as penalty. Free TTD Accommodation – There are several large choultries with free rooms for pilgrims to stay. Free Electricity and water are provided here. To avail free accommodation and TTD special entry darshan tickets, Pilgrims may contact the Central Reception Office (CRO) which is located near the bus stand in Tirumala. TTD also provides free of cost dormitory halls to the pilgrims which free of cost. How to book TTD Accommodation Online Booking? There is a facility of online reservation of accommodation at TTD. Pilgrims can visit TTD Seva Online to reserve special entry accommodation ticket. However, this ticket can be reserved up to 90 days prior to the quota availability. The quota is released on the first Friday of every month. This portal aims to provide pilgrims better user experience in availing the services under TTD umbrella. Pilgrims are required to register on this portal with a valid email address. This is a pre-requisite to book TTD accommodation online. The activation link for registration is sent to the registered email address for verification purpose. Pilgrims also need a valid mobile number to complete the OTP verification process. How to make payment for TTD online booking? Payment can be made by using all Master and Visa Debit/Credit cards. Net banking is also available for selected banks. Note: Any International or Maestro card with 20-digit number is not acceptable. In case of a failed transaction, which could appear due to late response of payment gateway, the pilgrim will receive a refund within 7 working days. If a pilgrim encounters a transaction status “Ticket release after a period of in activity”, then this will mean that the ongoing transaction is a failed transaction. Transactions which are successfully debited by the payment gateway but not confirmed back to TTD systems are deemed to be failed transactions. All such transactions are eligible for refund post reconciliation. In such transactions, refund takes 10-15 working days. Note: Sometimes due to technical issues, transaction is not processed and a status “Waiting for payment gateway response” is seen. In this scenario, transaction is successfully processed if the amount gets debited from the pilgrims bank account. How to resolve queries related to transactional failures? If the refund is not credited within 7 working days, then please write an email to refundservices@tirumala.org. They will get back to you within 24 hours. Accommodation is not provided for one person only. A minimum of 2 pilgrims are required to avail TTD accommodation. Accommodation can be booked 1 day to 90 days in advance. Only one room can be booked by one pilgrim at a given time. The next booking can only be made 90 days after the previous booking. This holds true for Tirumala and Tirupati separately. Original ID proof should be carried by all pilgrims while availing the accommodation. Cancellation is not allowed one day prior to availing the accommodation. Check- in time slots for Tirumala and Tirupati – There are 2 check-in time slots available. Types of accommodation at Tirumala – All rooms come with 2 beds and attached bathrooms. Non-AC rooms – There are 2 variants where one costs Rs 100 and the other variant costs Rs 500. AC rooms – There are 2 variants where one costs Rs 999 and the other variant costs Rs 1518. Types of TTD accommodation at Tirupati – All rooms come with 2 beds and attached bathrooms. Non-AC room at Srinivasam complex – This room costs Rs 200. AC room at Srinivasam complex – This room costs Rs 400. Special deluxe room at Srinivasam complex – This room costs Rs 600. Non-AC room at Vishnu Nivasam- This room costs Rs 200. AC room at Vishnu Nivasam – This room costs Rs 800. AC Suite at Vishnu Nivasam – This room costs Rs 1340. AC Suite at Madhavan guest house – This room costs Rs 800. Deluxe AC Suite at Madhavan guest house – This room costs Rs 999. How to avail the allotment of the rooms booked through TTD online booking ? The allotment of room is only for 24 hours and no extension is allowed. Pilgrims should vacate the room within 24 hours. Pilgrims are required to report at sub enquiry office for room allotment. The availability of rooms will be displayed on digital boards at respective TTD e-darshan counters. The rooms are provided on first come and first serve basis. Tirumala – Furthermore, pilgrims need to carry the printed receipt of the accommodation and contact the CRO (Central Reception Office) counter in Tirumala. An accommodation slip with guest house name will be provided at the counter. Pilgrims need to reach the sub enquiry office of that guest house within an hour of receiving the accommodation to collect keys and avail the accommodation. Tirupati – By the same token, pilgrims need to carry the printed receipt of the accommodation and reach the guest house as per the reservation. Pilgrims need to reach the sub enquiry office of that guest house to collect keys and avail the accommodation. 1. A pilgrim can cancel the TTD accommodation up to one day in advance of the date of accommodation booked online. This is irrespective of the time slots. Base tariff is refunded to the original source of payment. No cancellation is allowed 24 hours prior to the date of availing accommodation. This is irrespective of the time slots. If accommodation is not availed, the rent amount will not be refunded under any circumstance. 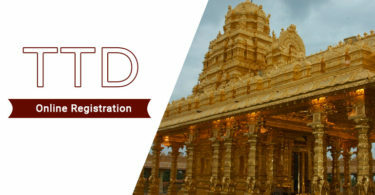 Special Note for TTD Accommodation for Nri & TTD Accommodation for Defence Personnel – There is an exclusive accommodation available and Balaji from Darshan Booking Team will be writing on them in the follow up articles. If you have any query on TTD online room booking, please leave your comment below, we will get back to you at the earliest. Oct 2017, Accommodation in Tirupati is available as shown in the snapshot below, however its subject to change quickly. However, Accommodation in Tirumala is available only on 31st Oct 2017. Refer to snapshot attached below. You can also check availability for November and December 2017 also. The ttd accommodation not available for the date 2nd Nov. The quotas for ttd accommodation advance booking is full till 26th Dec.
can i know the location and guest house name of AC ROOMS 999 and 1518. I am coming with my family. Booking the Special entry dharshan and Seva tickets. I need a location about these 2 rooms. Sir, Can you please send me the availability of room in Tirumala & VIP dharsan ticket availability during 3 week of March 2018. Thanks in advance. i am coming on 5th march without booking can i get darshan or not. Yes , you can also get darshan without any darshan tickets booking. You can get the darshan through Sarvadarshanam. is the free darshan where in the pilgrims wait for their turn to catch the glimpse of Lord in the compartments of Vaikuntham Queue Complex II. It means darshan for all devotees. The timings of Sarvadarshanam will vary on all days of week and on normal days it will take 18 hours allotted for Sarvadarsanam and 20 hours during the festival or peak days. I am planning to book a room on 27th August at Sri Vishnu nivasam. We are total of 5 members. I have selected the same number in the drop down. But ehen proceeding further it only takes 2 names. So please help me to understand how many members can stay in single room in Sri nivasam ac room. 2) Yes sometimes it shows only 2 members. For more query you can call TTD Customer Care Number. 3) Only one room is allotted in online booking for one login ID. 4) Also you have to call TTD helpline number for information on no. of people can stay in single room. 5) Room cancellation, Change in booking is not available. we are book 1 night .but we are sty in tirumala 2 night .what is option plz susetion me .how can book another 1night booking ..
How to book ttd accommodation for 3rd October. There are no rooms available for the date mentioned by you. In this date all the rooms are already booked in both Tirumala & Tirupati. The rooms are available in Tirupati Tirumala Devasthanams for Date 28th and 30th Nov 2018 and from 1st Dec 2018 onwards only. Is accommadation available on 09-dec-2018 at Tirumala? How to book ttd accommodation in tirumala for 21 & 22 January 2019 total 14 family member. Still booking is not opened for 21 & 22 Jan 2019. You can book ttd darshan & accommodation booking through online from TTD official website. In case any query let me know. Sir you have to book TTD Accommodation from TTD Official Website. Please let me know if there is any query. I am having the Darshen on 8 January 2018 . 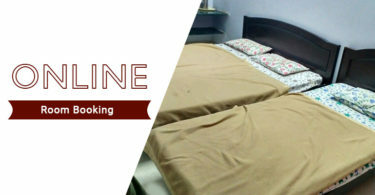 Along with dharshen an option was given for accommodations. But the condition 1 : the allotment of room is only for 07.00 hrs to 14:00 hrs and no extension will be allowed. What can do to stay fo 24:00 hrs? Can you please check me the rooms availability for 7members for 12of dec..
Can u please check the availability on 22nd February 2018 for eight people..
Shall I get accommodation and Darshan from 23rd January 23rd, 2019 to January 26th, 2019 at Tirumala, please help on this. I am aged 83 and I booked on line darshan on 7 th March morning at 10 am.I want a cottage for me and my aged wife from 6 th March 2019 to 8th March. Will you help me to find accommodation on these days only in TTD cottages? On 18.04.2019 to 22.04.2019the accomodation slots quoto completed at Tirumala, hence we are not able to process the online accomomodation facility, as we have darshan tickets on 19.04.2019, and we require accomodation on 18th and 19th April, 2019. Let us know, is there are any possibiities to get accomodation. You are absolutely right that TTD accommodation is not available for dates you have mentioned. However, you can explore Oyo Rooms as an alternative if you prefer.